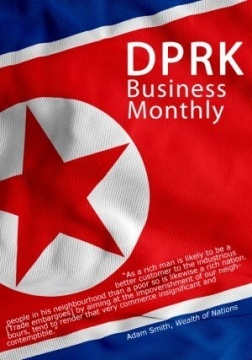 This regular publication looks at current international, domestic, and peninsular affairs concerning North Korea while also offering commentary and tourism information on the country. In international news, with North and South Korean leaders having pledged to work for the denuclearization of the Korean peninsula, restarting the Tumen River Area Development Program (TRADP) is now being encouraged. With this easing of tensions, questions are being raised as to why NGO, Global Fund is pulling out of the country. In Inter-Korean news, North Korea has announced that as of May 5, it will unify its time zone with South Korea. Further, according to Reuters, there has been an influx of property and land sales in South Korea along the demilitarized zone. On the domestic front, at least 150 buildings are being constructed at a new tourist resort zone on North Korea’s Wonsan Kalma peninsula. This is part of a project first announced by Kim Jong Un during his 2018 New Year speech.